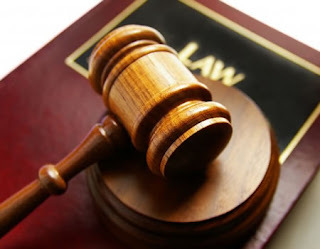 An Iyaganku Magistrates’ Court, Ibadan, on Monday convicted Bayo Adeyeye, 37, for stealing an Infinix cell phone valued at N37,000 from the University of Ibadan, Catholic Church. The Magistrate, Mrs I .O Osho, who convicted Adeyeye after he pleaded guilty to a charge of stealing, ordered that he be remanded in prison custody, until sentencing on Dec 4. Earlier, the police prosecutor, Sgt. Oluseye Oyebanji told the court that the accused committed the offence on Nov 21, at 7 pm at the University of Ibadan Catholic Church. “Philomena was praying when she saw Adeyeye moving around the chair she kept her phone she later found out that the phone was missing. “She ran to the accused and started shouting at him which prompted him to drop the phone he had stolen. He was then handed to the security,” he said. Oyebanji, said the offence, contravened the provisions of Section 390 (9) of the Criminal Law of Oyo State, 2000.